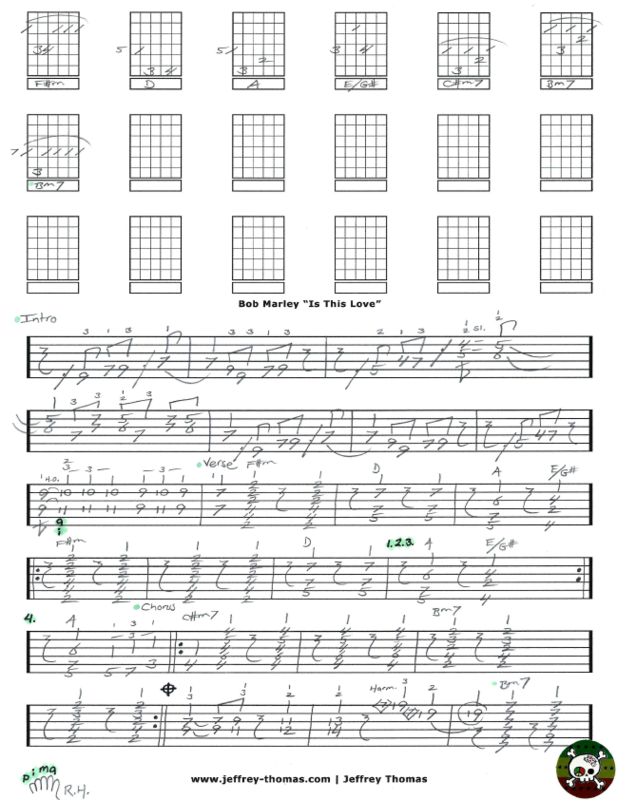 Bob Marley Is This Love Free Guitar Tab by Jeffrey Thomas. Learn the complete song with my custom guitar tab! All the signature licks, chords and solos are included. This is a solid arrangement for one guitar and is exactly how I would play it on a gig. This is the number one song request from my reggae guitar students. Want the full guitar tab for free? Just send in your email address using the form provided. Need help playing the song? Fill out the Schedule A Free Lesson form to set up your free Skype guitar lesson today. “Is This Love” reached number one on the UK charts in 1978. Make sure to check out more online guitar lessons on my tab, video and blog pages.